Colin McInnes holds a personal professorial chair in the Department of International Politics and is the University’s Director of Research Excellence. He is a Fellow of the Academy of Social Sciences and a Fellow of the Royal Society for the Arts. In 2014 he was appointed by the Secretary of State for International Development as a Non-Executive Director of the UK National Commission (UKNC) for UNESCO, with special responsibility for the Social and Human Sciences. He was elected Chair of the UKNC in 2019 and works closely with the British government, UNESCO designations and UNESCO HQ in Paris. In 2017 he received the Special Achievement Award at the inaugural Wales Social Research awards, for his 'outstanding personal achievement in research'. Colin was a lecturer in the Department of War Studies, The Royal Military Academy Sandhurst; Visiting Research Fellow at King's College London; and Special Adviser to the House of Commons Defence Committee. He was also Chair of the British International Studies Association; a member of the ESRC's Strategic Research Board and International Advisory Committee; member of WHO's expert group on Global Health Diplomacy; and Director of the UK Research Councils' Security Research Forum. From 2007-2018 he held the UNESCO Chair in HIV/AIDS, reflecting his research interests at that time. He is currently Consultant to the World Health Organisation developing their framework for civil-military collaboration in health emergencies. Colin currently sits on a range of advisory panels covering various aspects of International Relations and is member of a variety of editorial boards, including 'International Affairs'.He recently advised Public Health Wales on its development of an international health strategy, and the InterAction Council (a group of over 40 former Presidents and Prime Ministers) on global health issues. He was on the REF 2014 Politics and International Studies panel and is on the REF 2021 panel for both the criteria and assessment stage as well as being an interdisciplinary panel member. He has published widely on global health issues and on security. His most recent research addresses global health security, global health governance, social media during health crises. 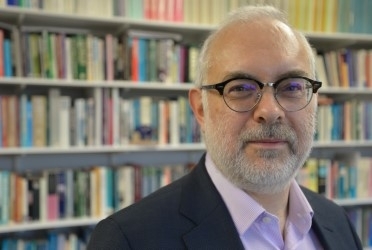 He is the co-editor of the Oxford Handbook on Global Health Politics and is currently working on two major projects, the first concerning risk and health, the second looking at the use of militaries to provide health assistance during emergencies.. Global health politics, security and governance. Especially risk and health; and use of militaries in health emergencies. Operational guide for a national framework for collaboration between the security and civilian health sectorsMcInnes, C., 2018 . Old wine in new bottles? Use of twitter by established UK news media during the 2014-15 West African Ebola outbreakMcInnes, C., 2018 , Social Media use in Crisis and Risk Communication: Emergencies, Rumors and Lifesavers. Backholm, K. & Hornmoen, H. (eds.). Emerald Group Publishing, p. 135-15420 p.
Social media communication during disease outbreaks: Findings and recommendationsMcInnes, C. & Hornmoen, H., 2018 , Social Media Use in Risk and Crisis Communication. Backholm, K. & Hornmoen, H. (eds.). Emerald Group Publishing, p. 255-27521 p.
The geo-politics of health assistanceMcInnes, C., 2018 . ‘Add Twitter and Stir’: The Use of Twitter by Public Authorities in Norway and UK during the 2014-15 Ebola outbreakMcInnes, C. & Hornmoen, H., 2018 , In : Observatorio.12, 2, p. 23-4624 p.